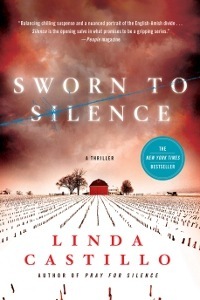 Sworn to Silence (2009) - The first volume in the series sets the stage. In Painters Mill, Ohio, which is a rural farming community, the Amish and "English" have lived side by side for over two centuries. Sixteen years prior to the start of the story, the community experienced a tragedy. A series of brutal murders tore apart the town's sense of safety and tranquility. Kate Burkholder survived the experience, but it left her forever changed. She left her Amish life and family, and became a law enforcement officer. Now she has returned to her old community, as chief of police. And she is determined to solve the mystery of the serial killer. until she finds a diary of the teenage girl in the family. Kate learns that the daughter may have been living a double life, and as she works to find the killer, she puts her own life in danger. 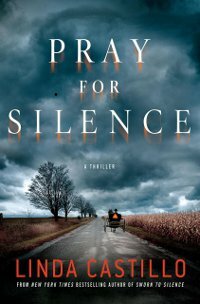 Breaking Silence (2011) - When the parents and uncle of a hardworking Amish family are found dead in their barn, it appears to be a terrible accident: methane gas asphyxiation. But an autopsy reveals that one of the victims suffered a head injury before death, and so foul play is suspected. 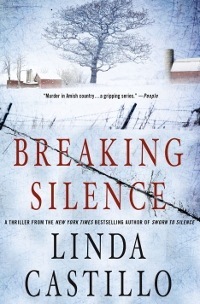 Kate Burkholder is brought in to solve the crime, but because there have also been a series of hate crimes committed against the Amish recently, and because these murders might be connected to them, state agent John Tomasetti joins her, with whom she has had a tumultuous relationship. They work together to solve all of the crimes. 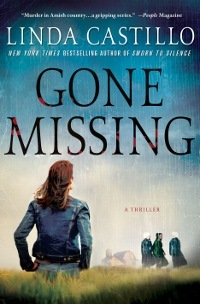 Gone Missing (2012) - The fourth Kate Burkholder novel takes on the subject of Rumspringa, the time when Amish youth are allowed to experience life without rules, just before they commit themselves to the community. All is festive and well until a teen goes missing, and then a dead body is discovered. Kate comes in, once again, to solve this mystery. A sixth e-short story, written in May 2013, also follows Kate Burkholder. 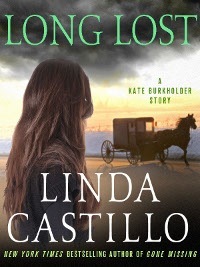 Long Lost begins as Kate and John Tomasetti are on a much-needed vacation at a bed-and-breakfast an hour outside Painters Mill. But their relaxation is cut short when they hear rumors that the B&B is haunted by a girl who disappeared twenty years earlier. Never able to leave a murder mystery unsolved, Kate and John find themselves on the case once again. This "beyond the book article" relates to Her Last Breath. It originally ran in July 2013 and has been updated for the July 2014 paperback edition.